You are welcome to put a link to Absolutely Free Music Lessons on your website,blog, MySpace, or Facebook so your visitors can enjoy free music lessons. Just choose one of the links, highlight the code below it and paste the code to your site. Get free guitar, drum, piano, music theory and songwriting lessons! Absolutely Free Music Lessons! Get free guitar, drum, piano, music theory and songwriting lessons! Get free guitar lessons--scales, chords, lead guitar, alternate tunings and much more! Get free keyboard lessons--scales, chords, blues, free chord and scale charts and much more! 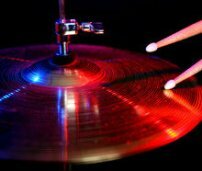 Get free drum lessons--tuning, rudiments, rock beats, fills, TABS and much more! Leave "Link to This Site" and Go To "Absolutely Free Music Lessons"